HomeApps For PCHow to install Microsoft Edge on Windows 7. This has been the most asked question and yet there is no satisfied reply available. The first question, Microsoft Edge for Windows 7? The Answer is simple NO. Its not possible. So if you are a Windows 7 user and you wish to have your hands on this awesome Windows 10 browser, then you have only one choice to make. Upgrade to Windows 10. 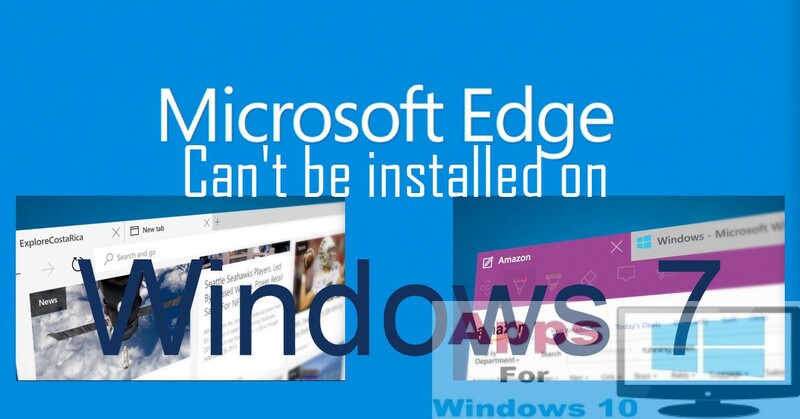 Let me explain why you can’t have Microsoft Edge on Windows 7. 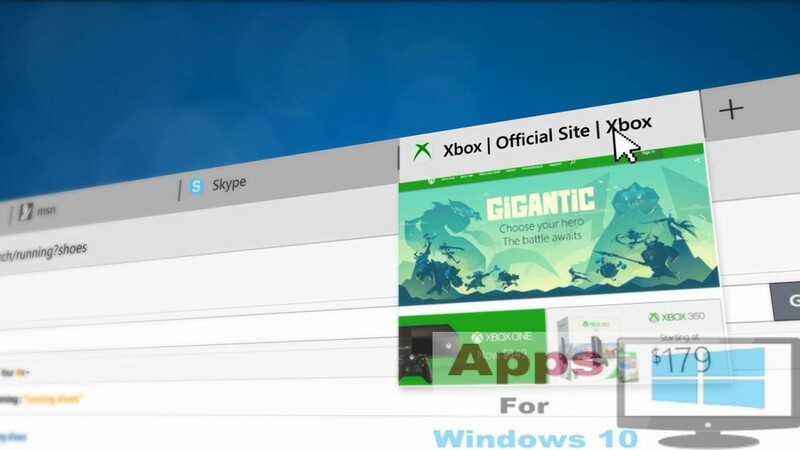 The first thing you should keep in your mind is that this Microsoft Edge has been built on an entirely new universal App Platform which has been introduced with the introduction of Windows 10. This latest flagship Microsoft Browser will work on mobile devices loaded with Windows Phone 10 but can not work on any previous version of Windows 10. This Universal platform was introduced with Windows 8, just to add some apps for the operating system. So if you want to have this browser on Windows 8, you can download it form the Windows Store but still you won’t be able to run on desktop interface, rather the same full screen option as other apps runs on Windows 8. The other reason for that is described by a Windows developer here. the Windows Store platform was created from scratch and had nothing to do with Win32 framework, which is used in previous versions of Windows. That makes it impossible to port such applications to previous versions, without either completely re-programming the whole interface (which would basically result in the same Internet Explorer that you already have), or porting the whole Universal App platform to Windows 7 – which would take a whole Microsoft team and several months worth of work. However if you are still the Windows 7 user and you won’t some updated Microsoft browser then you can try this latest Microsoft Internet Explorer 11 Developers Preview version which has been recently released for the older version of Windows mainly the 32-bit versions. The IE 11 Offline installer is available in almost all languages the Windows supports. Here is the link for the IE 11 Offline installer.